Manual Lymph Detox/Manual Lymphatic Drainage is a highly specialized, light touch therapy which uses precise hand movements, pressures and sequences to enhance the lymphatic flow. When applied correctly, it has a profound yet gentle effect on the body. 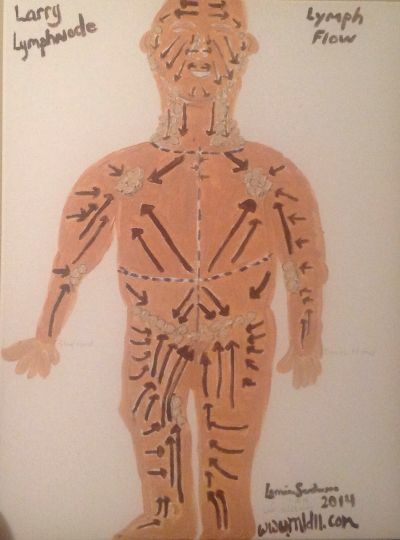 Through the rhythmic stretching and directing effect on the lymph vessels, Manual Lymph Drainage stimulates the opening and closing of lymph capillaries to drain tissue spaces and the contraction of smooth muscles in lymph vessels, to help move the lymph forward and drain the tissues of toxins and edema. The connective tissue space also called interstitiial fluid space, surrounds the trillions of cells in the body, and the lymphatic vessels in these spaces and their corresponding lymph nodes are necessary for waste removal/drainage, the immune function of antibody production as well as fluid ballance in the body. Your cells can get easily surrounded by waste and blocked from absorbing the nutrients and oxygen they need to survive, thrive and regenerate. MLD gets you into the flow of health, balance and equilibrium. Manual Lymphatic Drainage clears the connective tissue/interstitial fluid that surrounds cells and organs. This clearing of wastes allows the cells to freely access the nutrients they need, which are released by the blood vessels into the same interstitial spaces. The body has no place to store excess or defective proteins, so they accumualate in the fluid spaces around cells. Water is attracted to protein, and edema (fluid) can accumulate in the tissue spaces when proteins are not removed regularly by the lymphatic system. MLD removes these proteins and the water follows. MLD also stimulates the functioning of the immune system, accelerating your natural state of health as well as restoring fluid balance to your body. The lymphatic system is a complex one of immunity and waste removal, which integrates with other bodily systems including the circulatory, urinary and digestive systems. As well as playing a major part in immunity by making antibodies and filtering harmful particles in lymph nodes, it facilitates waste removal at the cellular level and assists with bringing nutrients and oxygen to cells. Interstitial fluid, the fluid that surrounds cells and tissues, contains some proteins, plasma, long chain fatty acid molecules, and cell waste along with molecules which are too large to enter back into the venous system and must be removed by the lymphatic system alone. When these products enter the lymphatic system they become 'lymph'. Lymph fluid that is stuck hinders the body's immunological function as well as restricts cellular rejuvination; therefore, increasing the effectiveness of the lymphatic system promotes health, youth and vitality. The functioning of the lymphatic system can be hindered and restricted due to many causes including dehydration, inactivity, stress, diet, infections, surgeries that remove or cut lymph vessels or nodes, disease processes and aging. Fluid movement in the tissue (interstitial fluid) as well as the movement of lymph (fluid in lymph vessels) is assisted by Manual Lymph Detox/Manual Lymphatic Drainage (MLD). The lymph flow in the body is a one way system of vessels, from the tissue spaces, back to the venous circulation. Molecules are broken down and purified to be sent through the heart, to the liver, intestines or kidneys and either get excreted as urine and feces or get re-circulated for use by the body if needed. The Lymph flow is regulated by a combination of gravity, hydrostatic pressure within the interstitial fluid, the lymph fluid pressure within the lymphatic cell walls, as well as the contraction of muscles, the thoracic lymphatic return duct in the abdomen, the valves in the lymphatic collecting ducts which prevent backflow and the specialized treatment of Manual Lymphatic Detox/Manual Lymphatic Drainage. Consequences of Manual Lymph Massage are the boosting of the immune system, reduction of swelling, relief of chronic pain and improved vitality and health. The goal of the Certified Manual Lymphatic Therapist is to restore equilibrium and ballance in the tissues, ensuring “the unwanted departs.” Also, if there is excess fluid present, it can inhibit cellular metabolism and immunity. Oxygen and nutrients will take longer to be processed by the tissues, antibodies will struggle to get through to the cells in need and cellular waste products will take longer to be removed from the body, resulting in an environment conducive to illnesses, diseases and pain. Most people with normal heart, kidney and liver function are able to be helped by MLD. It is additionally beneficial to anyone suffering from edema, chronic pain, fatigue, recurring colds, non-infectious skin conditions, fibromyalgia, and sinus conjestion. MLD is also noted to greatly benefit pre and post surgery candidates, cosmetic surgery clients, clients with swollen feet, ankles, face, arms, legs or hands as well as those who experience cellulite or acne. Picture the familiar long line at your grocery checkout and only one lane open. MLD opens 10 lanes instead of 1. You get the results you need quickly. Effects on the body can be felt and seen upon the first treatment. Treatment plans vary but have been shown to be effective for many conditions within 1-10 sessions. A quarterly maintance (90 minute full body treatment 4 times per year) plan is recommended for most people to keep the immune system at its peak. Call for your free phone consultation or to schedule your appointment. 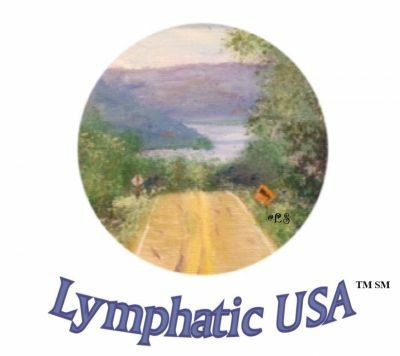 Disclaimer: "All information presented by Lorraine's Lymphatics is for information purposes only and is intended to be an educational service and not, in any way, provide medical advice, diagnosis or treatment."